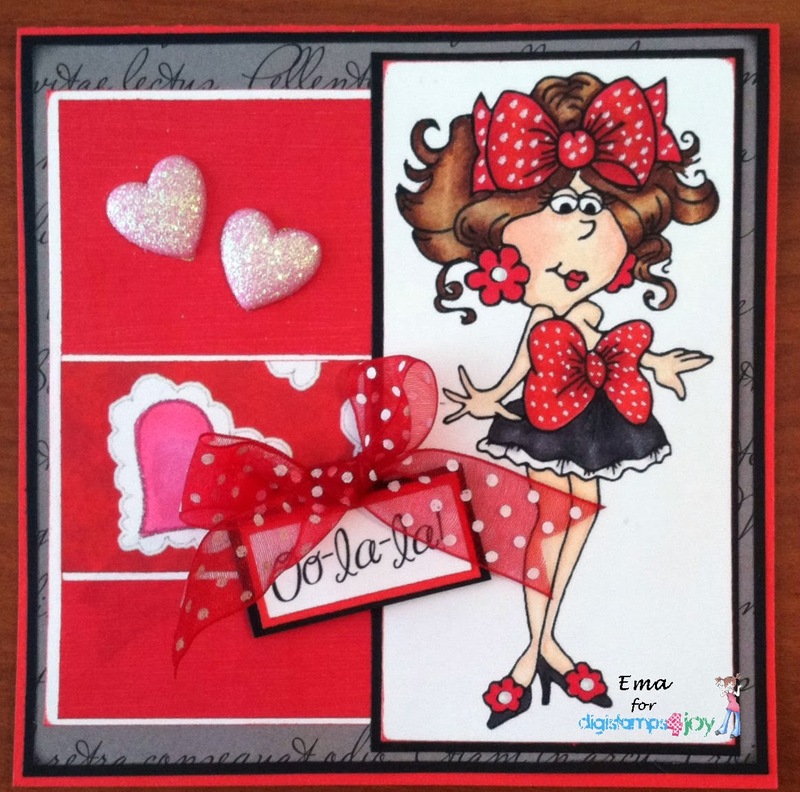 Here is my card using Bettie Bow and calling for some ooh la la! Isn't she just the cutest image ever!?! I love it! I've colored the image with Copic markers and all supplies used are from my long-hoarded stash. I am a follower of these blogs and I display my badges here. Pop on over to the DigiStamps4Joy Challenge Blog to see what all the rest of the team has made for Challenge #85 - Hearts and come play along with us! such a gorgeous card Ema.